bad [dot] parking [at] yahoo [dot] com. I apologize for it being dark; I was worried if I waited until daylight it would be gone. This is an actual parked, unoccupied vehicle, not a snow escape in progress. Trust me, I checked! It’s been there for a few hours. Found this great picture of a **scooter** parked (and therefore blocking) a **bike rack** in T.O. 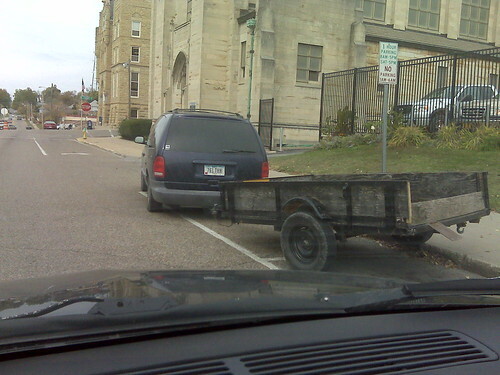 So I live in rural town southern Iowa – and while I was dropping my son off at school, I watched a man first try to parallel park this minivan and trailer – and I had a good chuckle. Then I watched him pull in to an empty two spaces ahead of the vehicle in front of the parallel spot. And the part I found the funniest? Ten minutes of maneuvering lead to a driver’s satisfied look upon completion – and this. 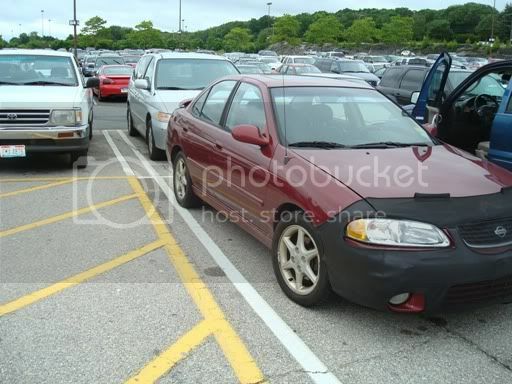 This was at the Shops at Riverside in Paramus, NJ. This is some of the worst I’ve seen. New London CT. At a mall this weekend I parked next to this guy and couldn’t resist snapping a photo. Check out who is in the drivers seat; maybe he parked the car? Then while I was leaving the dog pulled away only to have this guy pull in. Maybe it was the spot? 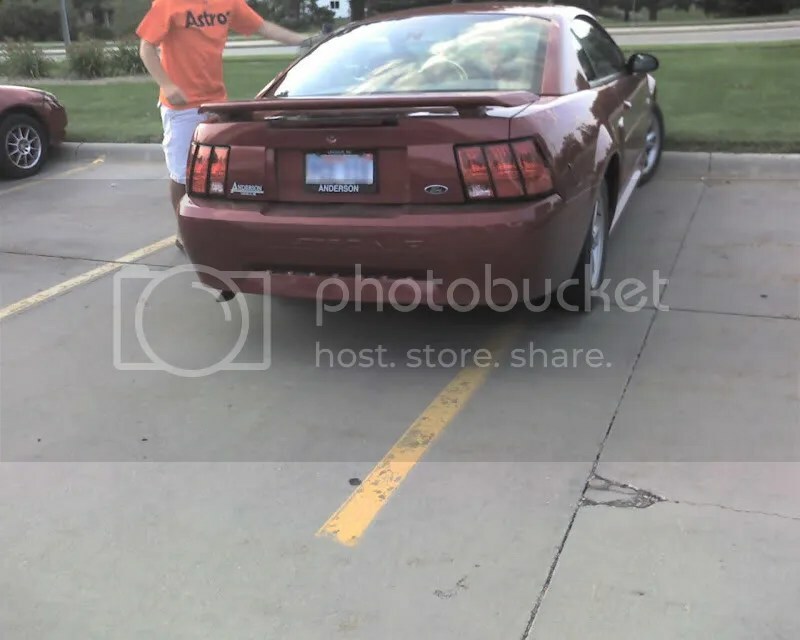 Stepping out of the car in the parking lot of Applebees in Lincoln, Nebraska, I threatened my friend with uploading this photo to the bad parking blog if he did not adjust his detestable park job. Incontestably, he refused. Are we allowed to send photos from other websites? This popped up on That Will Buff Out and I thought it might be a good addition here too. 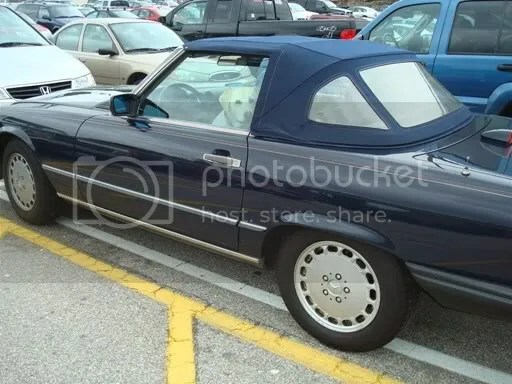 That is a good photo, but I don’t want to steal from another site. Thanks for sharing though! Some days I truly do worry about the state of humanity. Exhibit A here is a poor lout that decided they couldn’t find a parking space and needed to park on top of this brick wall (I’m not exactly sure what the brick wall was for, I guess just for people to do this to….). I’m also rely not sure HOW they drove up there, there was nothing for them to ‘bounce’ up on and there was no slant to the wall, and the front of the car had no damage to it (was in a moving car so couldn’t get a clear picture of the front end). Some people may be stupid, but they seem to have mad skizzles.